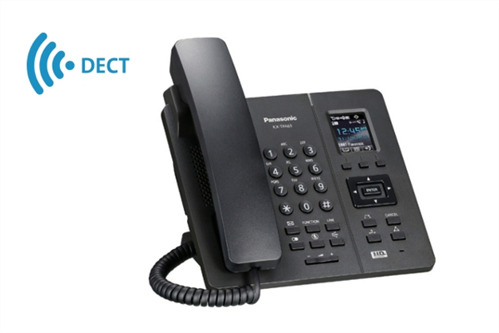 The KX-TPA65 DECT desk phone is compatible with the Panasonic KX-TGP600 IP single-cell DECT system. The KX-TPA65 wireless desk phone offers a significant advantage over 'traditional' desk phones. 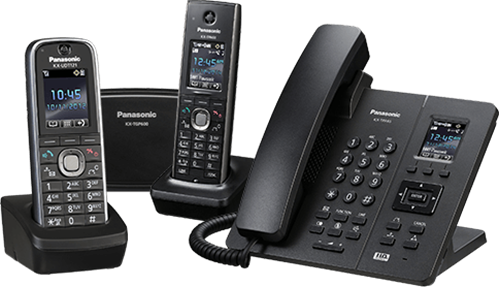 While it features the same range of desktop functionality to other IP desk phones, the phone's DECT capabilities means no wired LAN is required for installation. The KX-TGP600 base unit will cover an area of approximately 300m outdoors and 50m indoors, depending on the environment. The handset range can be increased by adding on up to 6 optional wireless repeaters, the KX-A406, which can expand the communication area to around 200m indoors. The KX-TPA65 is supported by the KX-TGP600. In addition to the KX-TPA60 handset already included with the KX-TGP600, the KX-TPA65 can work alongside any combination of KX-TPA60, KX-TPA65, KX-UDT121 or KX-UDT131 handsets (KX-TPA60 + up to 7 handsets).